Brief: To create, provide & coordinate the first ever street promotional campaign for McDonalds throughout the whole of the UK. Action: With the Marketing Store of London, we created concepts of how street artists could perform stunts whilst holding the newly launched healthy wrap range in one hand. Some of the professional artists involved in the campaign were jugglers, break-dancers, extreme unicyclists and football freestylers to name a few. The professional artists also gave workshops sessions for children & adults to try out each street sport. 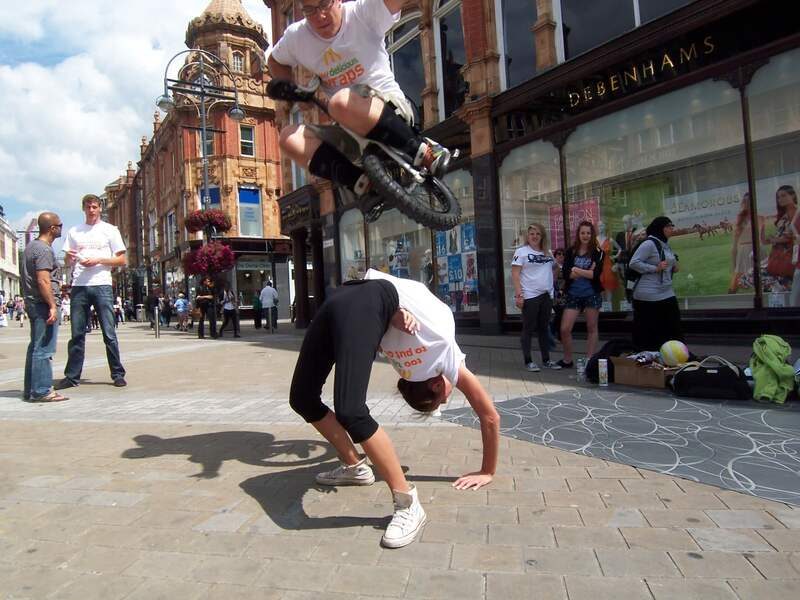 Result: Using 12 different types of street sports & urban arts, activity took place within and in front of over 150 McDonalds stores UK wide. The promotional activity was seen live by over 200,000 people and also viewed online by over 1 million people.